I often enjoy my corn bread alongside a piping hot bowl of chili. 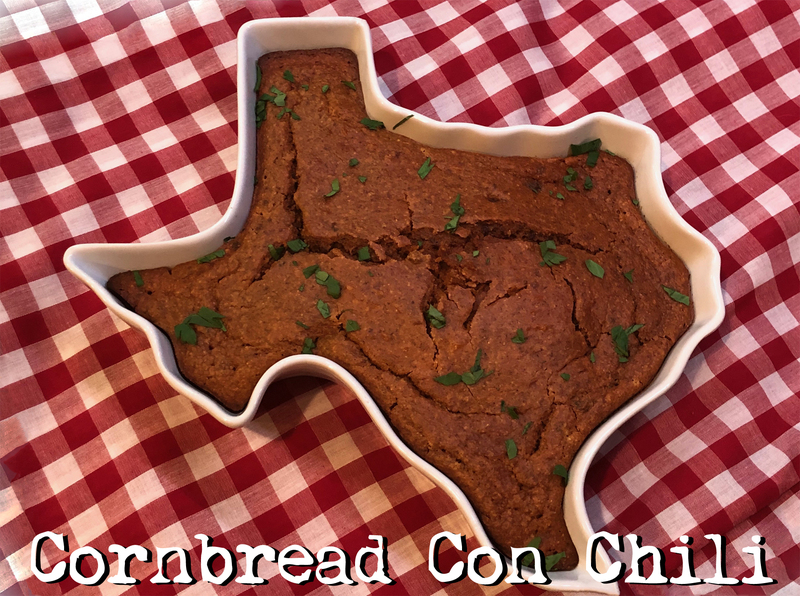 This recipe cuts to the chase by adding chili con carne to the corn bread mix – it’s the perfect mashup of these two food groups essential for any Texan! 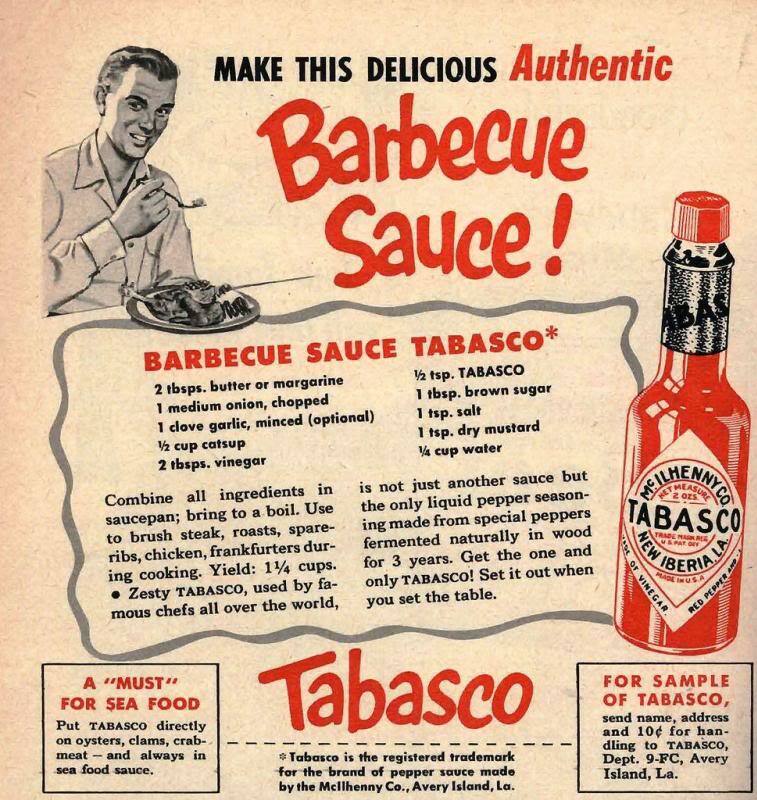 Perhaps the secret weapon in this recipe is that of good ol’ Tabasco. 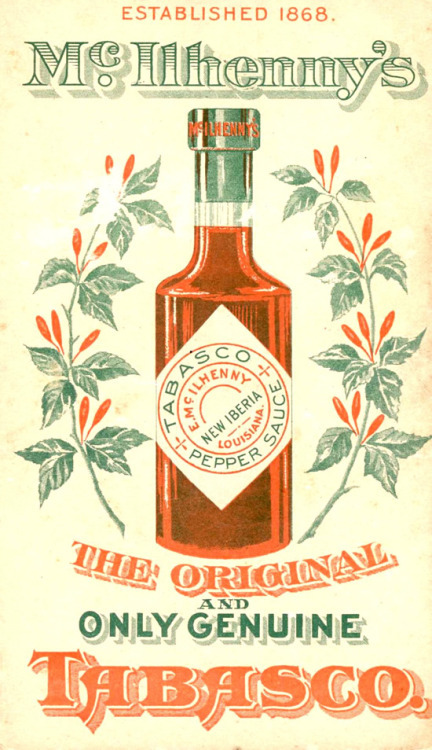 Mom always had a bottle of it in our kitchen pantry and she had a love for the spicy that was passed on to my tastebuds! 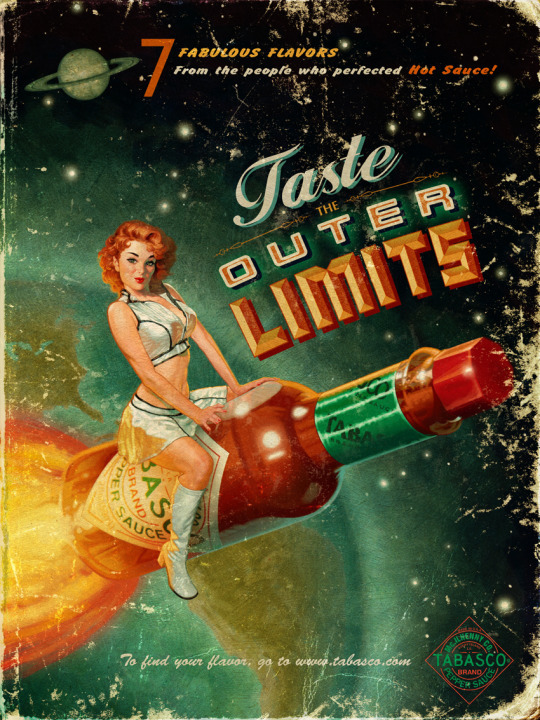 Love Tobasco, too? 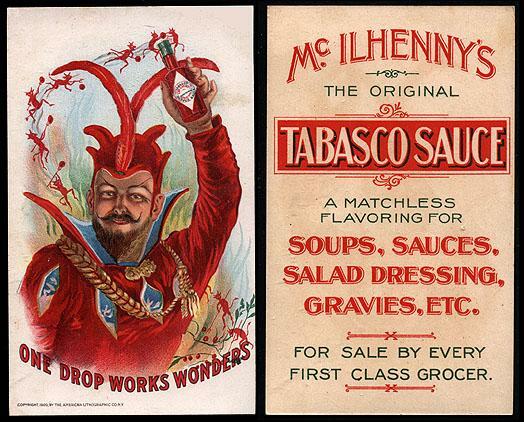 While your cornbread is baking why not check out some of the vintage ads I included below that celebrate the spicy good stuff! ❤ Don’t do what I did – make sure and add the parsley flakes to the batter before baking! #Doh! ❤ While I’m sure Mom used curly-leafed parsley, I’m a devoted lover of Italian flat leaf parsley. It’s a texture thing for me but this post credits the Italian variety with being more flavorful. ❤ Hungry for more chili and cornbread recipes? Treat your tastebuds to my award-winning chili and homemade spicy-stuffed cornbread recipes! Total prep: Less than an hour. 2. 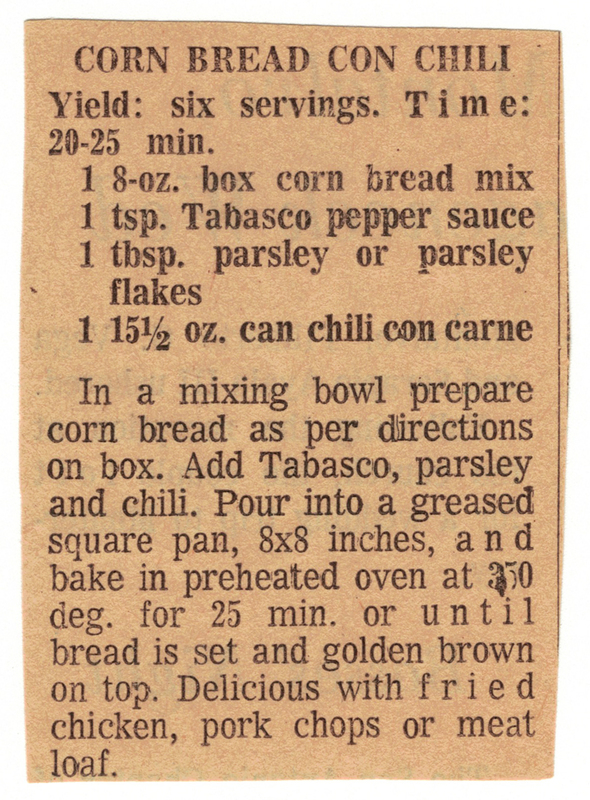 In a medium-sized bowl prepare the cornbread per the box directions. 3. 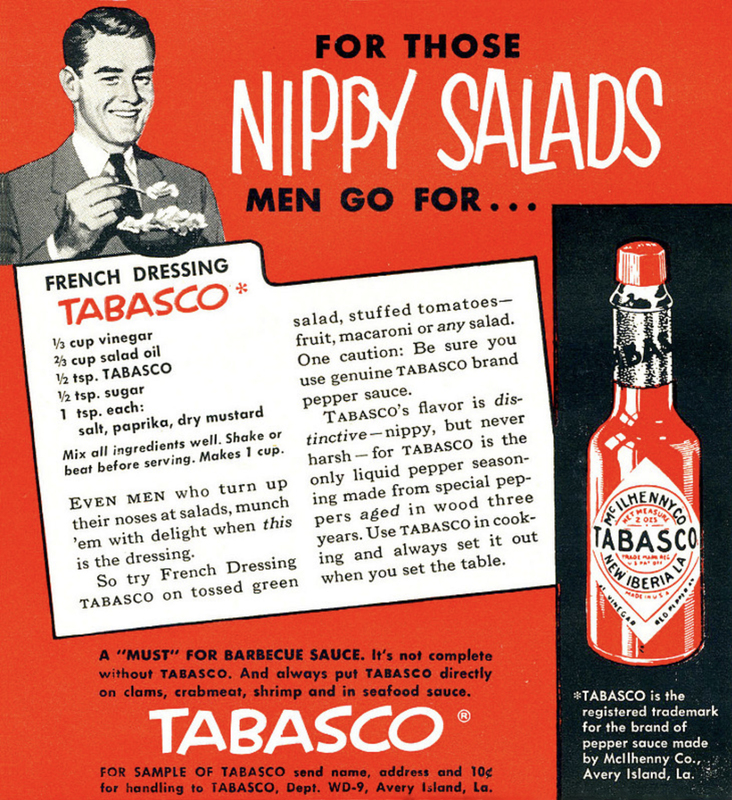 Add the Tobasco, parsley, and the chili. Mix everything until well blended. 4. 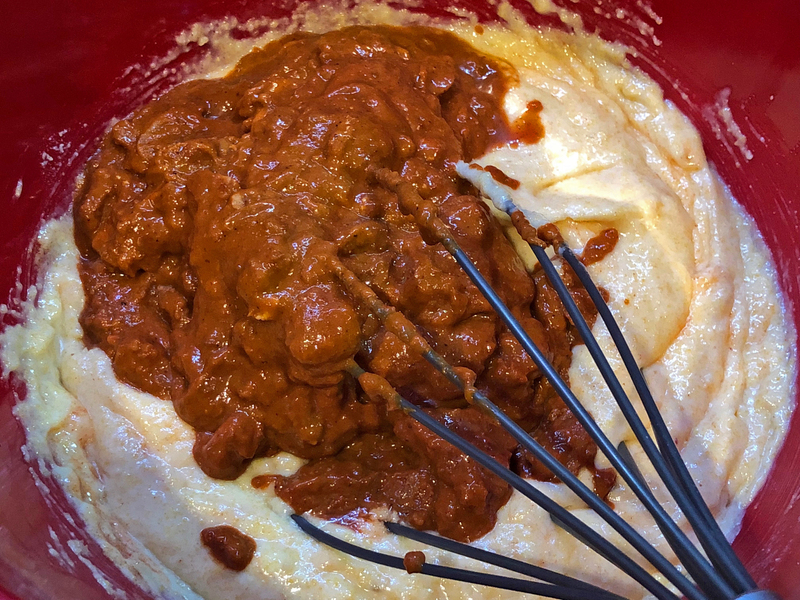 Pour the chili batter into a greased 8″ x 8″ baking dish and bake for 25 minutes, or until golden brown on top. 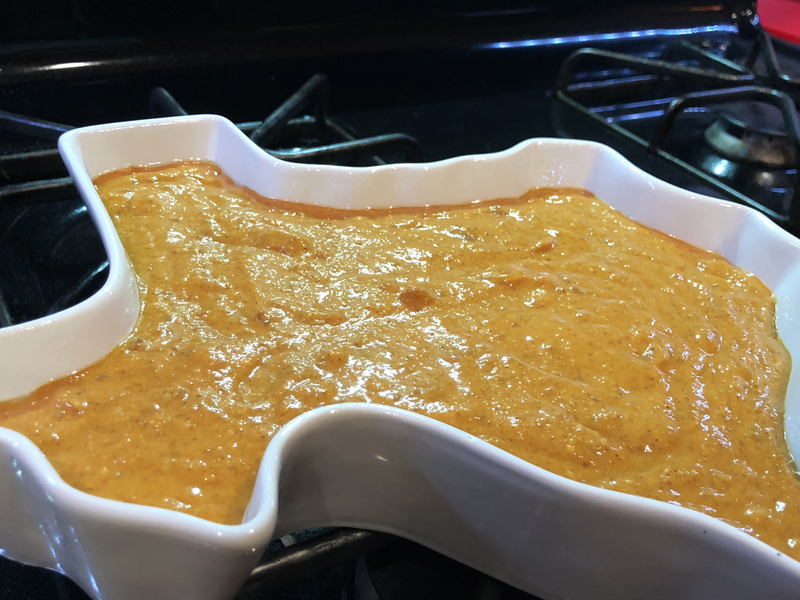 I had to bake my cornbread for a tad longer than 25 minutes – it may have had something to do with my Texas-shaped baking dish (Central Texas took a little longer to bake). Serve Warm: With fried chicken, pork chops, meat loaf… or just because. I like my cornbread on top of chili ‘n cheese, please! 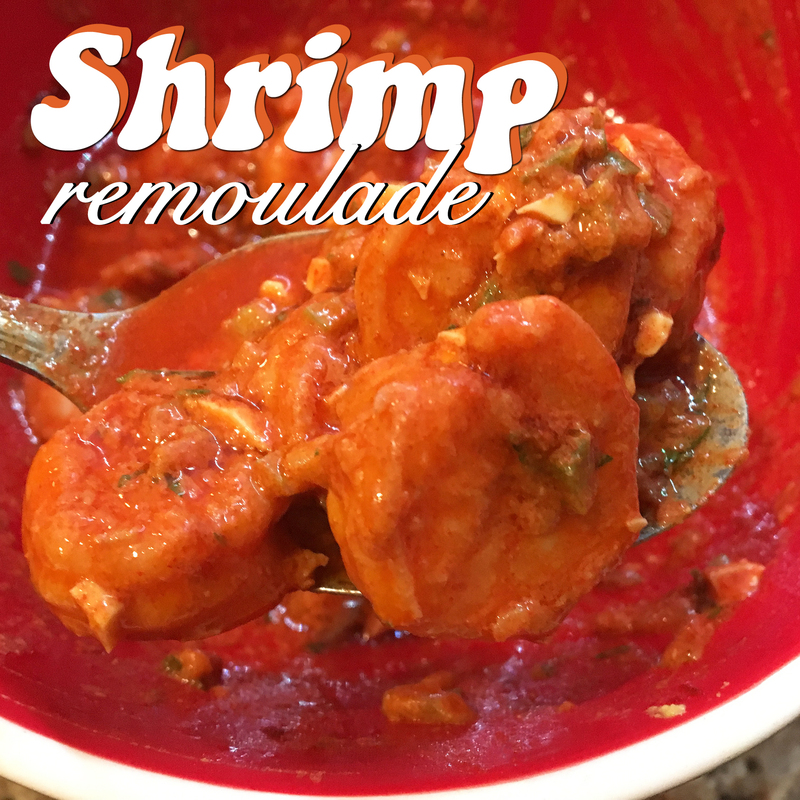 Prior to making this recipe, I didn’t know much about shrimp remoulade. I couldn’t spell “remoulade” correctly. Roots to France? No wonder I couldn’t spell it! As a younger Patrick if a shrimp-like object was placed before me I would have run for the hills, arms in air. So making this recipe *and eating* the end result involved a bending of my typical seafood predispositions; I have found certain select seafood fare that I enjoy, although don’t tell that to my Tex-Mex and Italian foodie favorites. ❤ Shrimp tip! While stores may not be consistent in how they classify shrimp, when you’re at the seafood counter, there’s a method to the madness for how many shrimp typically come per pound (this is indicative of their size). Resources that will be helpful include the Certi-Fresh website, which gives great detail plus the Certi-Fresh Shrimp Sizing Guide you can print, and keep with your cookbooks (score! )… and the Farm to Table guide that provides some detail on larger-sized shrimp. Now you’ll be able to decipher shrimp-like code like PUD, P&D, U/15, and 61/70! ❤ While shrimp remoulade is technically an appetizer, you can enjoy it with a variety of sidekicks. I can squarely picture my Mom “Betty” eating these marinated shrimp straight off a Nabisco saltine cracker. Other accents can include a bed of tender greens, jasmine rice, toasted crostini or simply by fork (I’m guilty of by fork – it was that good). 1. Beat the oil, mustard, vinegar, salt, Tabasco, paprika, and egg yolk with a rotary beater until thick. 2. Fold in the celery, onion, parsley, green pepper, and chopped egg white. 3. Stir in the cleaned and cooked shrimp. 4. Cover and chill in the fridge, stirring occasionally. I let my shrimp and remoulade mingle for about an hour. 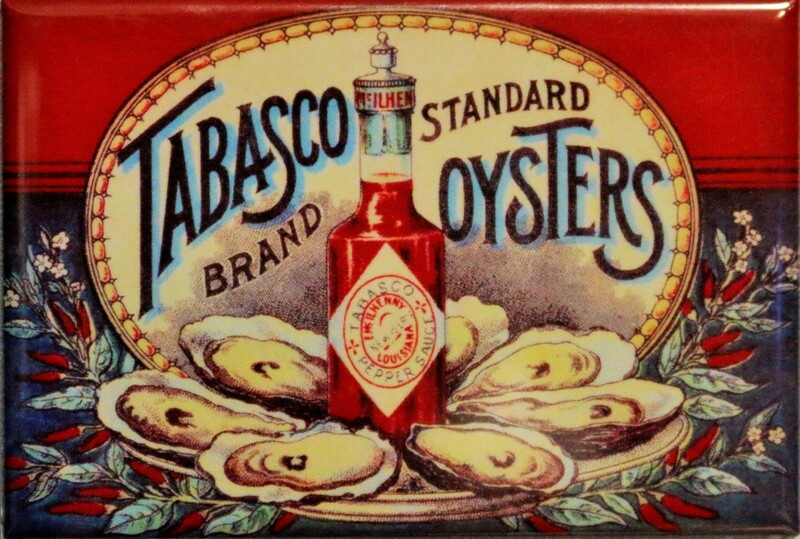 Yields up to 4 servings, depending on the size of the shrimp and how you’re serving it (appetizer or main course). 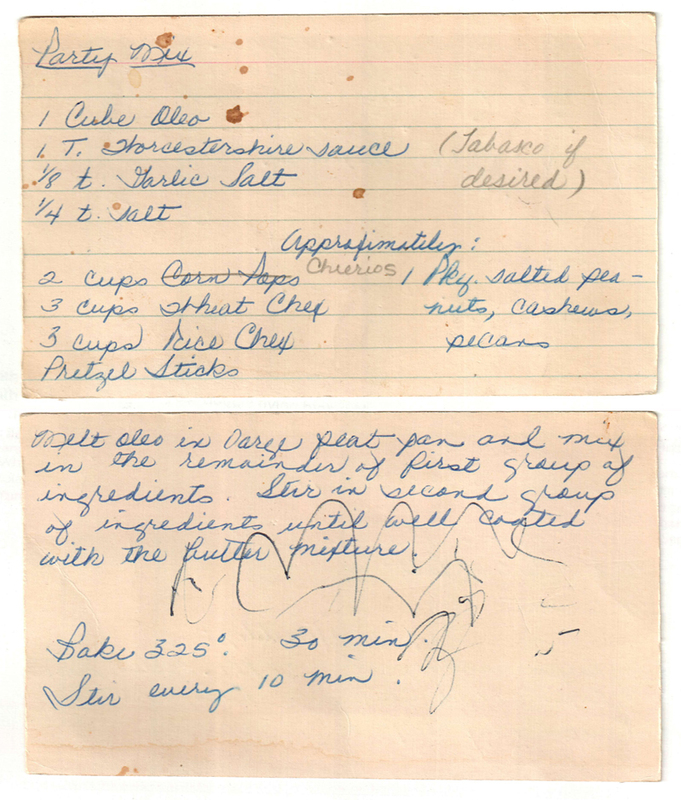 A scan of Mom’s original Shrimp Remoulade recipe! Let’s enjoy some vintage cracker commercials! Who knows how many sleeves of crackers I’ve polished off in my lifetime. Now we can enjoy a nod to crackers throughout the years! Each time I dive into Mom’s cookbooks to select a recipe it usually winds up being a journey in time picking out the chosen one. With more than 125 recipes under my belt since 2011 it’s becoming difficult to remember which ones Joe and I have already made. With hundreds more recipes to choose from it can be hard to pick the next recipe. This week I landed on a new strategy – to simply pick the next recipe in order from front to back in Mom’s index card holder or her recipe book. This makes choosing super simple. As luck would have it the very first recipe chosen under this new form of culinary law and order was this amazing artichoke spread. 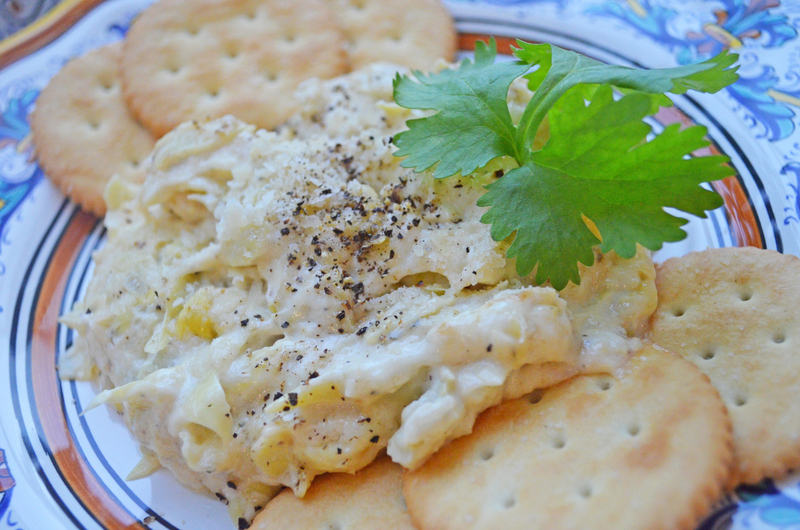 This recipe quietly sat at the front of Mom’s appetizer section like a wallflower – probably because I had already made this artichoke dip … in the process this spread recipe had been passed over for more than 4 years. 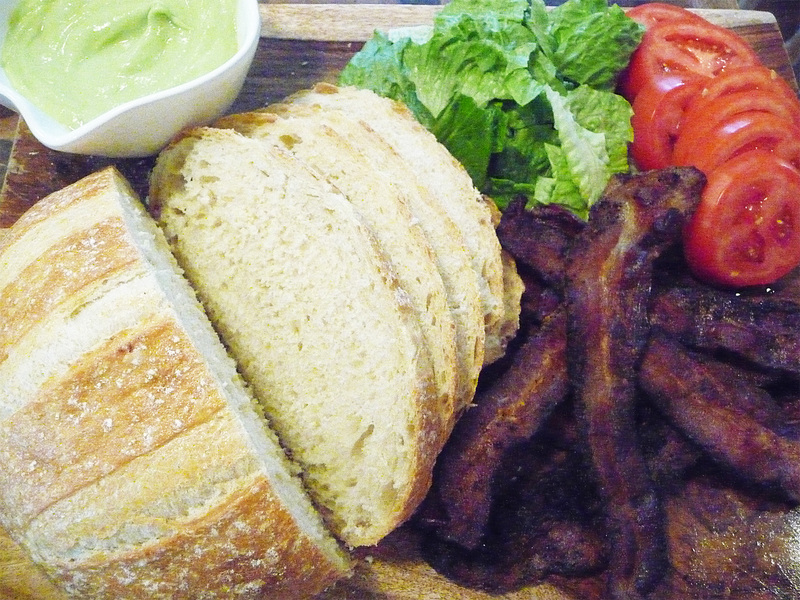 Turns out this spread beats the pants off the dip recipe. Which just goes to show to never underestimate the power of a wallflower. ❤ Surely Parmesan Cheese isn’t the same thing as Parmigiano-Reggiano Cheese, right!? What you find when you click this link may surprise you! ❤ Whatever you do please don’t use “shaker cheese” for this recipe. Go fresh. I used my hand grater and made a coarse shred that melted into perfection. ❤ Love artichokes? Click here to peruse other artichoke recipes here at Betty’s Cook Nook. ❤ This recipe inspired me to create a new category for connecting you to my favorite Betty’s Cook Nook dishes. Just click on “The Best Of The Best” category link at right! 0. Preheat oven to 350°F. Whew, that was easy! 1. 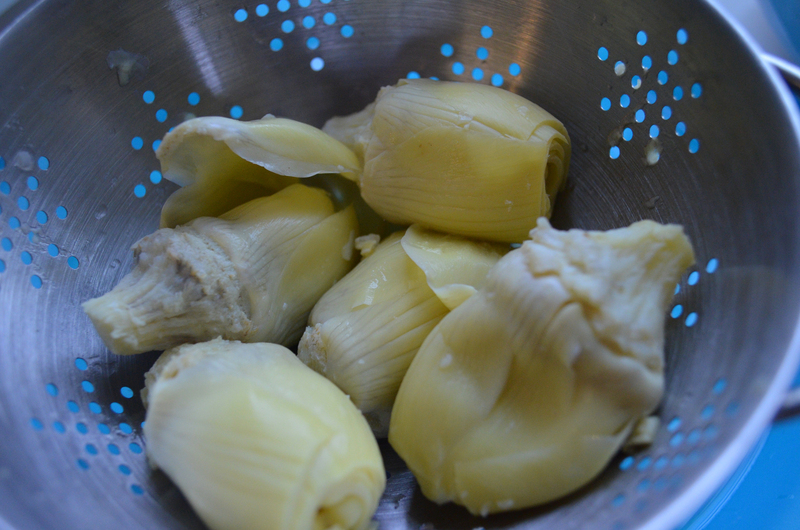 Drain the artichoke hearts and chop them up. Place the artichokes into a casserole dish. Add the mayo, cheese, salt, pepper, Tabasco sauce, and garlic powder and mix everything together. 2. Bake in your preheated oven for 30 minutes. My spread got warm and bubbly with a little bit of browned cheese on top. #yum! 3. Remove the warm spread from the oven and let it rest a few minutes. If you add more parmesan on top we won’t be surprised. That’s what we did! Enjoy by topping on Ritz crackers, tortilla chips, Naan bread, tortilla roll-ups … the list is never-ending. It’s that good. Best served warm. Leftovers refrigerate well and they did not last long! We Kikers lived at 2927 Trailend Drive and Mary was the Mother of the Stephenson family living next door to us. Mary was a fabulous foodie friend of ours and you’ll see a few recipes from Mary’s kitchen here at Betty’s Cook Nook. 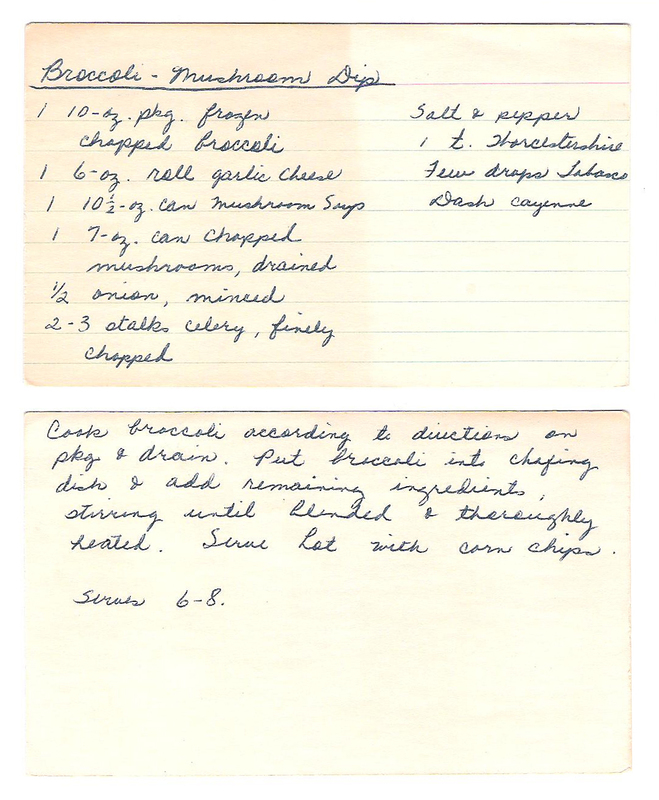 Our two families spent many shared dinners and laughs together so I was happy to find some of Mary’s recipes tucked in Mom’s cookbook since the Stephensons were a magnificent and memorable part of my wonder years. To celebrate Cinco de Mayo, let’s make Cinco de Mayo-nnaise (sorry for the cheesy play on words… it’s what I do). I did find evidence of some diet foods in mom’s cookbook. This was one of them. 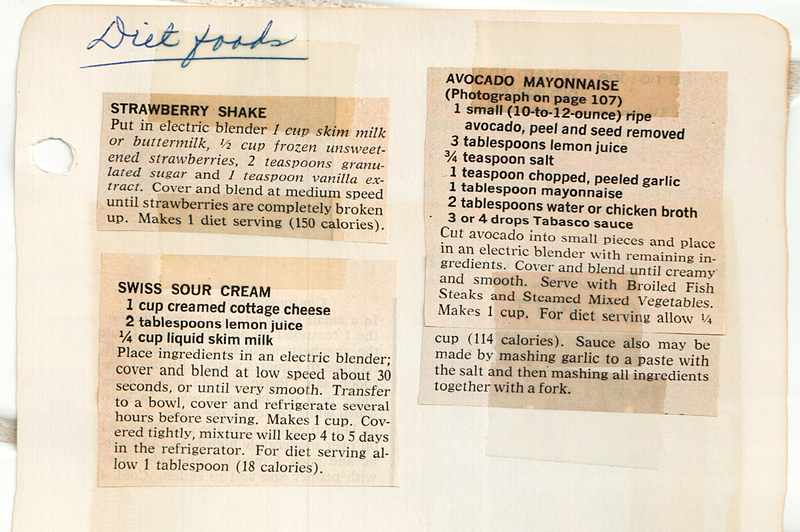 This recipe caught my eye more than once as I flipped through mom’s recipes. So let’s let ‘er roll! 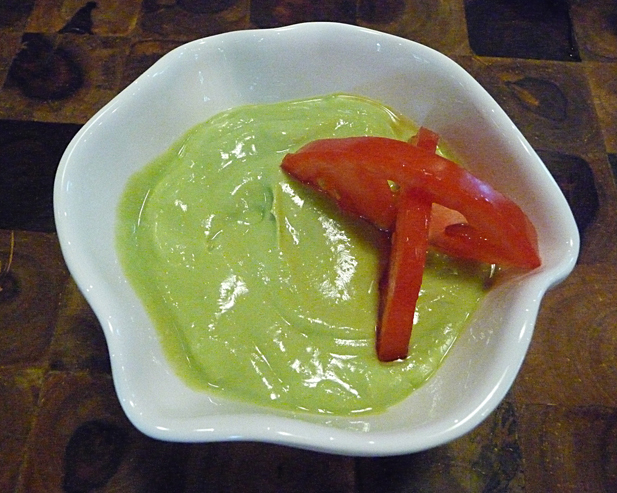 Who doesn’t love the taste of avocado? 1. 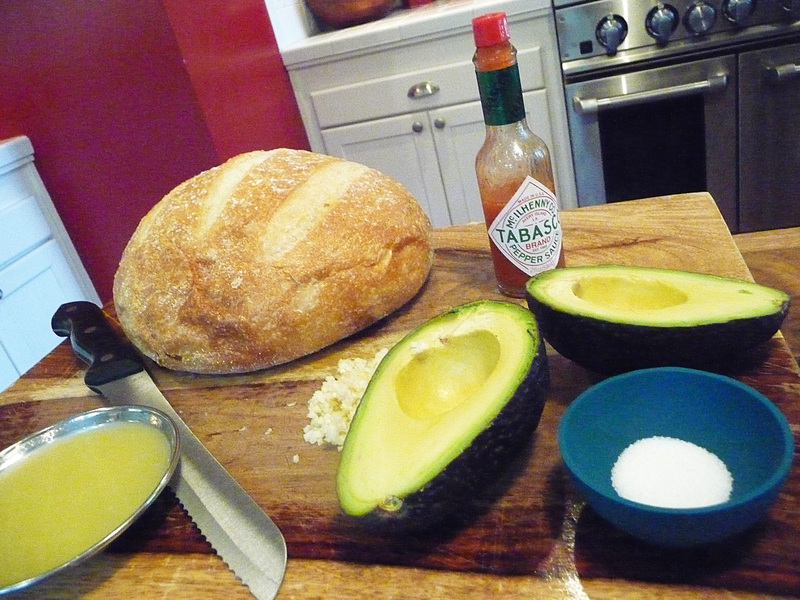 Cut the avocado into small pieces and place in an electric blender (or immersion blender) with remaining ingredients. 2. Cover and blend until creamy and smooth. 3. Makes 1 cup; ¼ cup of the mayo is 114 calories. 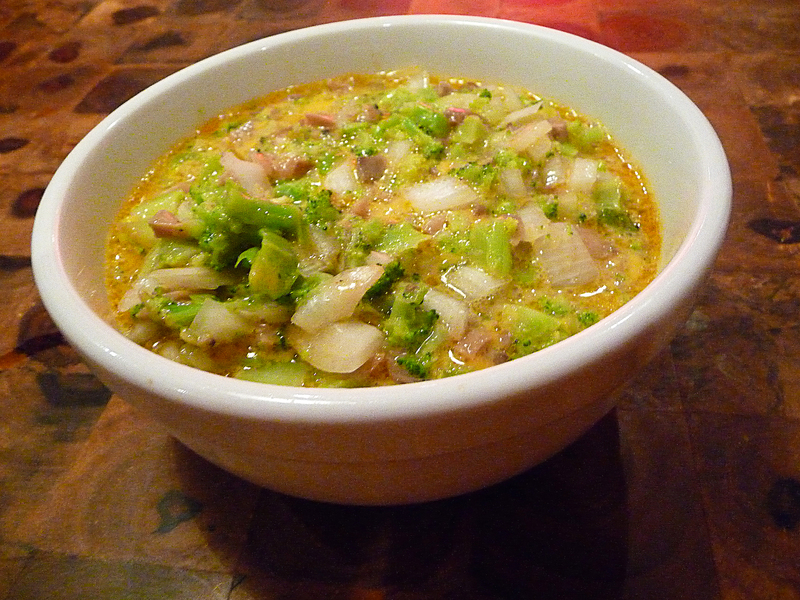 ♥ The sauce may also be made by mashing garlic to a paste with the salt then mashing all ingredients together with a fork. Chunkier. 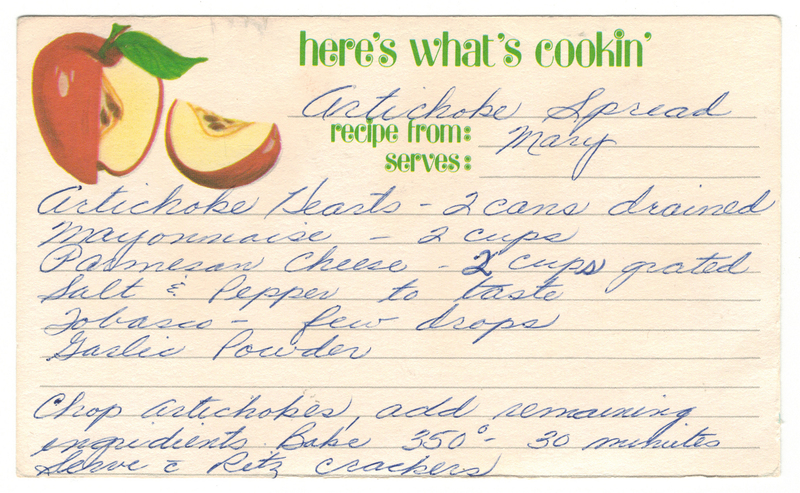 This recipe was a Kiker family favorite during the holidays. The more we made, the more we shared. And the more we shared, the more we ate. The circle of life. 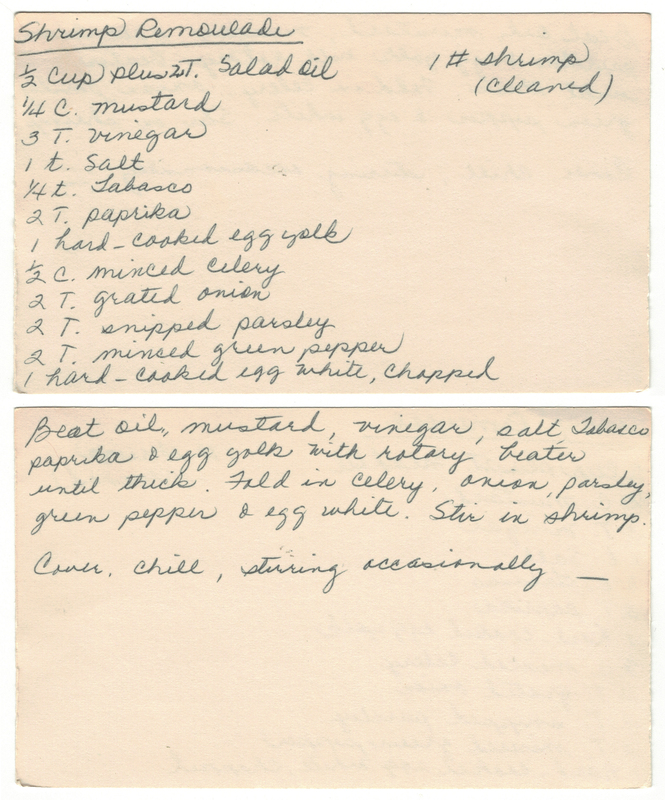 I found it interesting to see that Mom’s *original* recipe (below) called for Corn Pops… and that it was later scratched out and replaced with Cheerios. I’m guessing perhaps the sweet-salty match-up was too “avant garde” back in the 70s… Or was it? I dove-in head first with my first attempt re-making this classic by using both the Corn Pops and Tabasco. And you know what? I loved them both! While my childhood friend “Snoopy” later popularized the Party Mix, Mom was making this original before it was available, pre-made in a bag, at the grocery stores (there’s not much fun in that). Brother Roger said “Nuts and Bolts” would often be served warm in Mom’s white CorningWare bowls, which he still has to this day. And his favorite part? Taking the pretzel sticks and “stabbing” the Cheerios in their center hole, so he could stack ’em up. Move over, popcorn. There’s an old snack in town. Nuts and Bolts rules. Hands down. 0. Preheat oven to 325°F. 1. Melt the oleo (butter) in a large baking pan and add the “group 1” ingredients. Stir well. 2. Stir-in the “group 2” ingredients until well coated. 3. Bake for 30 minutes, stirring every 10 minutes. 4. Serve warm, if you can. ♥ This recipe is great for making treats for gift-giving… especially during the holidays when friends and family may pop-in for a visit. ♥ I remember mom also using Lawry’s brand seasoned salt on the party mix. Roger remembers it, too. Rahhhh, salty! I sprinkled some seasoned salt with black pepper on top just before I put them in the oven and it brought back the good times. 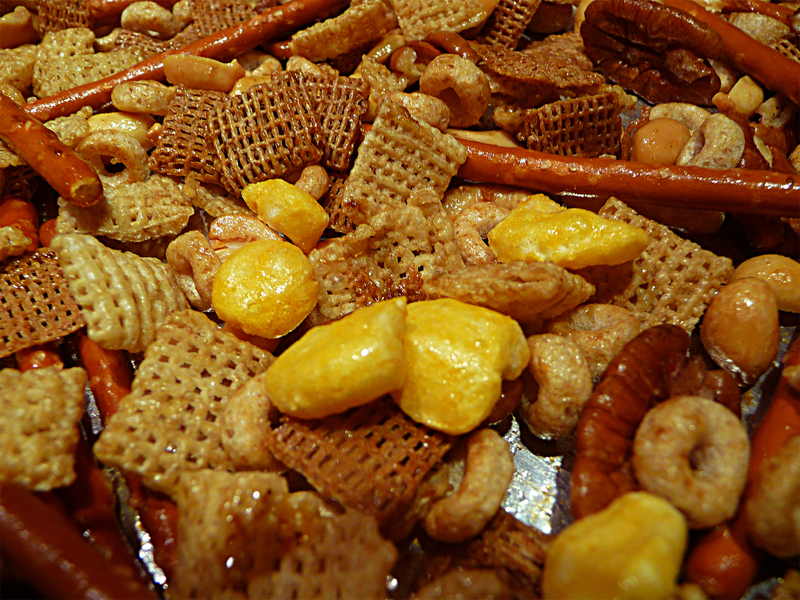 ♥ Why not consider adding Corn Chex to the party? The more, the merrier.